At a recent training they highlighted the importance of getting to know your students. Us teachers spend countless hours with our students, don't we know them enough? I feel like I do a very good job by having conversations with my kiddos but nothing on paper. Plus 'Knowledge of Students' is a component on my evaluation (anyone else use Danielson's framework?). If my pay is going to be determined by my evaluation scores (along with test scores) then you bet I'm going to attempt to get some high scores. So basically I need some proof I know my students rather than just those conversations my students and I have. This is where student interest inventories comes in! Having student's fill out a student interest questionnaire/inventory at the beginning of the year allows me to get to know my students better but also understand their needs, how they work, and what I could use (internal or external) to push them to do their best. Once students fill out the questionnaire, I have it the rest of the year I could pull from. They are going to go right into my student's information section in my teacher binder for easy access. I plan to tailor my lessons to student's preferences by reading books that relate to their backgrounds and interests. Also relate math skills to those interests and create problems that relate to them. I got a little carried away and rather than making one questionnaire, I made four. I want to know a lot about my little guys and gals! Download all of the questionnaires here or by clicking on any of the pictures. 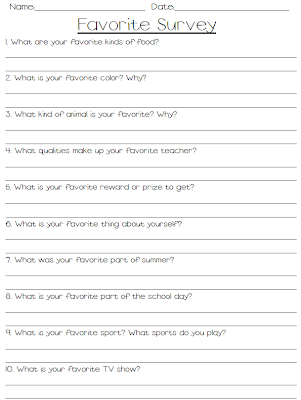 Students will fill out each one for their 'Do now' or morning work the first week of school and then on Friday they will write questions to ask me. We will go over the questionnaires and the questions they write in our morning meeting. I am really looking forward to seeing their responses and getting to know more about them every day of the first week! The questionnaires are very flexible so do what fits your needs. 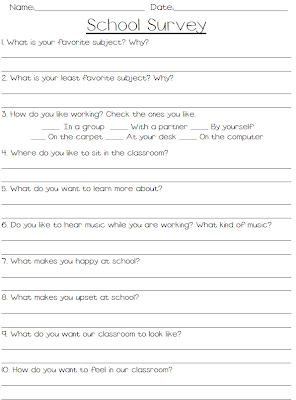 You could read students the questions, use the questions to talk about these topics as a class, or even use these questions as writing topics. 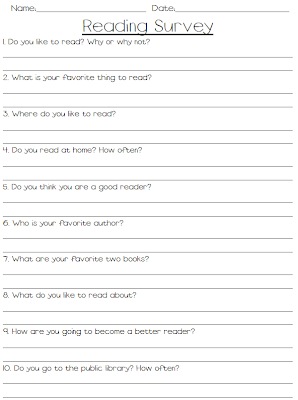 I plan to give students the exact same reading questionnaire at the end of the school year because I'm hoping those answers are much, much different! How do you get to know your students better? ps. 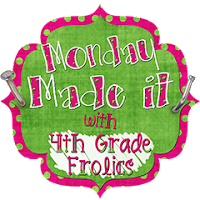 I'm linking up to Monday Made it! Looks great! It will be interesting to see if their answers change. Our school is going to use the same evaluation system next year! Thank you for sharing!! Just stopping by to thank you for visiting my blog and the sweet comment! Your blog looks great...I'm off to check it out! I love your questionnaires!! 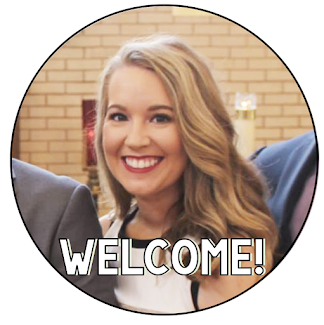 I am excited to find fellow 2nd grade teachers to follow. I am your newest follower. Come on over to secondgradechatter.blogspot.com and check out my brand new blog. I posted my very first Monday Made It!! Yay!! I came across your blog when looking for nautical themed classroom ideas. I'm a teacher, also. I am also in Florida, in the 2nd grade, and this will be my 2nd year teaching. I thought I'd introduce myself. My name is Kelly. I haven't looked at everything, but I love your blog. I too have a blog - http://startingsecondgrade.blogspot.com/ - and I plan on following you. :) You seem to have some really great ideas. I am also doing Daily 5 (for the first time) along w/ CAFE, so we shall see how it goes. Anywho, have a great first few weeks back to school. I start w/ the students August 8th. Great start of the year survey. 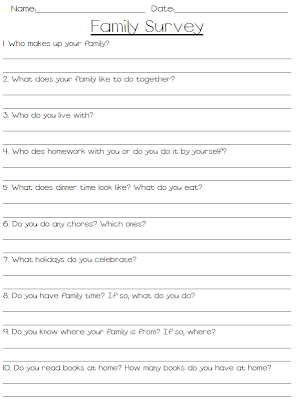 Thinking about doing something similar, but having each child talk about it with a peer first, then write their answers. Hopefully, I'll get a good writing sample. Just downloaded! I think im just going to come over and stalk all your stuff, creepy? I am to a great extent impressed with the article I have just read interesting very good. I really like your questionnaire questions. All but about 3 are questions I would like to use. Thank you for sharing!! I used your surveys this past week with my brand new class. Thank you for sharing them. Scientists argue that the photos hermes outlet were taken on rough, hilly landscapes fendi outlet which are bound to produce all kinds of wacky shadow lengths no matter where you stand. If you take a picture on a snow-covered hill, for instance, the http://www.cityofwestwego.com/home.asp same kind of effect will cartier replica likely take place. When ever a particular quest criminal arrest action and yet will never cartier replica it again, should certainly that person definitely be trusted being situation from people insurance coverage? Suppose i told you some are very grateful criminal arrest helps prevent the next because of picture taking his or her's person, deciding on this is not to follow through his or her's criminal arrest intentions? What is more, should certainly some criminal arrest turn out to be penalized for the purpose of aiming to fake rolex sale some criminal which may be positively factually unachievable? Article, we intend to give consideration to organizations disputes not to mention evaluate potential ways that they they can indeed be safely and effectively worked on. According to Georgia Legal requirement, a particular inchoate criminal usually is a diploma below the particular the offensive player. A particular attempted to begin with measure criminal offence frequently has become the next. A shot from a further measure criminal offence would definitely turn into a thirdly. Criminal arrest legal requirement frequently cartier replica sale on their own with the help of penalizing which they breath fully committed wrongs vs the community. This is why the outcome can be designed Say from Georgia against. Hawaii will be person of their criminal arrest criminal acts considering that the offensive player might be against the figures not to mention laws specify by your Say. One of the many fundamental helpful thoughts virtually all 100 % legal units have to deal with might be when ever, whenever, towards intercede through absolutely rolex replica uk action through solution to cure some criminal because of occurence? Glance at the situation from a gunman attempting killing a close associate. The guy purchase some weapon. Might be the guy detained at this moment for the purpose of omega replica watches killing? you can share father's day sayings, greetings and messages.